Jazz Gives Away Free Minutes and Cash Prizes on Eid! 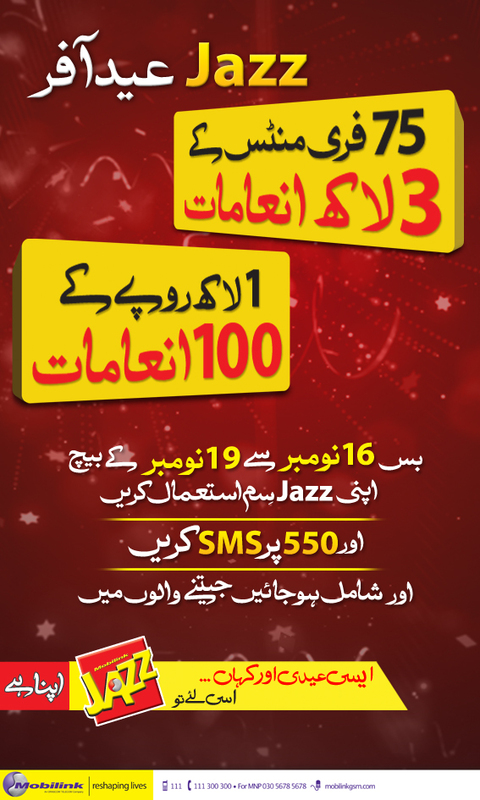 On this Eid-ul-Azha, Mobilink offers its Jazz subscribers a treat of free minutes and cash prizes. Over 30 million customers now have the chance to be one of the 3 lakh winners to win free minutes as well as 100 cash prizes. All Jazz customers can avail this promotion. It was much better to reduce call rates instead of spending money on prizes.